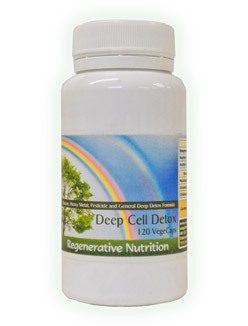 Cell detoxification from toxic substances including pesticides and heavy metals. A broad-spectrum nutritional supplement containing all minerals & trace elements, many vitamins, polysaccharides. Anti-oxidant protection that even crosses the blood brain barrier. A general cell detoxification from an array of toxic substances we all acuminate to a greater or a lesser degree, including pesticides (e.g. organophosphates) and heavy metals. A 'heavy metal' detoxification. It will eliminate from the body all heavy metals including mercury, aluminium, cadmium, lead and radioactive isotopes such as strontium. A broad-spectrum nutritional supplement containing all minerals & trace elements, many vitamins and polysaccharides and offers a high anti-oxidant protection that even crosses the blood brain barrier. Heavy metals are released from the saliva and bile and end up in the bowel. Normally these re-enter the blood to maintain the mercury and other heavy metal loading of the body. The alginates in the seaweed adheres to heavy metals in the bowel, as alginates are not absorbed through the bowel wall they are eliminated by the body, hence gradually reducing the quantity of heavy metals in the body. MSM Organic Sulphur is a wonderful agent to 'open' the cells, by improving membrane permeability so that toxins including heavy metals can permeate through the cell membrane to exit via the extra cellular fluid and on to the blood. R-Alpha-Lipoic Acid & Acetyl-L-Carnitine These two nutrients act as a team in helping to improve and protect brain function, especially where there is heavy metal toxicity. Sodium Ascorbate -The 'Original' form of vitamin C, for it's chelating properties, supporting the detoxification process and immune system that has to deal with all the toxins released and is further an anti-oxidant to help protect during the realse of all the cell toxins and heavy metals. We have designed Deep Cell Detox based on a clear understanding of the action of each ingredient, to provide balanced support in the detoxification process and provide a potent remedy for cellular detox. It should be noted that people can struggle to get well over years of therapy and improved diet, but without eliminating deep cell toxins such as heavy metals and pesticides, progress will be limited. A general cell detoxification from an array of toxic substances we all acuminate to a greater or a lesser degree including pesticides (e.g. organophosphates) and heavy metals. A 'heavy metal' detoxification. It will eliminate from the body: all heavy metals including mercury, aluminium, cadmium, lead and radioactive isotopes such as strontium. A broad-spectrum nutritional supplement; it contains all minerals & trace elements, many vitamins and polysaccharides and gives high anti-oxidant protection that even crosses the blood brain barrier. It is therefore suitable for almost all people on a medium to long term basis; and essential for those wishing to achieve well-being who have been compromised by heavy metals or other environmental toxins such as pesticides. The most common examples include mercury toxicity (especially in the brain and nervous system from mercury dental amalgams), vaccinations, regular consumption of filter feeding sea food such as shrimps and shell fish on a regular basis. Heavy metal toxicity is also implicated in most chronic health disorders, as well as pesticide poisons (especially common being organophosphate poisoning). This is, carefully processed below 40C in the drying stage seaweed is especially capable of sucking out / acting as a 'magnet' for heavy metals and other cell toxins, and works thus: Heavy metals are released from the saliva and bile and end up in the bowel. Normally these re-enter the blood to maintain the mercury and other heavy metal loading of the body. The alginates in the seaweed adheres to heavy metals in the bowel, as alginates are not absorbed through the bowel wall they are eliminated by the body, hence gradually reducing the quantity of mercury in the body. Heavy metal detoxification program's that do not use alginates or sea weed, or other products with these abilities will usually leave the person feeling worse, as heavy metals are released into the blood but not from the body. To read the full Seagreens article, please see the links section at the end of this article. This type of sulphur is widely deficient in the diet as it evaporates and dissolves so readily and only fresh raw food contains it in any quantity. It is a widely used nutritional supplement to help with repair and detoxification. It has many other important functions such as helping with the transport of oxygen and as a precursor to chemicals that help protect brain cell function in the presence of toxins like heavy metals. MSM Organic Sulphur is a wonderful agent to 'open' the cells, by improving membrane permeability so that toxins including heavy metals can permeate through the cell membrane to exit via the extra cellular fluid and on to the blood. I have heard of cases where the use of MSM alone, served to eliminate heavy metals from the brain and relieve the symptoms of Alzheimer's. However, in this situation other remedies are needed, to help with the detoxification process, such as vitamin C and Zell Immunocomplex. These two nutrients act as a team in helping to improve and protect brain function, especially where there is heavy metal toxicity. ALA is a potent anti-oxidant that will pass thorough the oily membrane of cells, binding with mercury and other heavy metals and then exiting for the cells, including brain and nerve cells. The other ingredients in the DCD formula then facilitate the removal and detoxification of the heavy metals removed from the cells and are finally exited from the body via urine and bowel. The whole process of heavy metal removal will take a few months, but often improvements of symptoms will start around 6 weeks. Whilst there are many heavy metal detox formulas available, most of them are very expensive with complex arrays of many nutrients and herbs. We have designed Deep Cell Detox based on a clear understanding of the action of each ingredient, to provide balanced support in the detoxification process and providing a potent remedy for cellular detox. It should be noted that people can struggle to get well over many years of therapy and improved diet, but without eliminating deep cell toxins such as heavy metals and pesticides, progress will be limited. It should further be noted that the action of removal of heavy metals, toxins, pathogenic fungi, virus and unhealthy bacteria that have been residing in the tissues and cells tends to cause a healing reaction (including nausea, headaches, stiff joints... flu like symptoms). To mitigate these difficulties/symptoms, we recommend Zell Immunocomplex. This broad-spectrum mix of live cell nutrients provides, amongst other valuable nutrients, specific respiratory enzymes to improve/aid detoxification of the body and support the immune system to mop up and neutralize the toxins released.